In New York’s New Museum in May, more than 60 VIP guests, gathered for the Pacunam Foundation’s benefit evening to discover the majesty and mystery of ancient Mayan civilizations, with the support of the Prince Albert II of Monaco Foundation-USA. Pacunam is the foundation for Maya cultural and natural heritage. A silent auction was held to raise funds for the Maya Biosphere Reserve which was visited in April 2011 by His Serene Highness Prince Albert. (The Prince Albert II of Monaco Foundation has since added the Mirador conservation initiative in the Maya Biosphere Reserve to its nine other forestry projects.) The evening featured presentations by leading Maya archaeologists Dr. David Freidel, Dr. Marcello Canuto, Dr. Francisco Estrada-Belli, and Dr. Richard Hansen who discussed their work with one of the most advanced civilizations to exist. Dr. Freidel and his team recently discovered fragments of a stellae depicting the infamous Queen who was the military governor of Waka. This important discovery dates to approximately 702 AD. A follow-up event was held in Philadelphia at the University of Pennsylvania, with a presentation on Thursday, June 7 in Los Angeles. Photo caption: (L-R) Mr. Willi Kaltschmitt (IOC Chief of Protocol), Dr Richard Hansen, (Project Director, ISU Mirador Basin Project), Hon. Maguy Maccario (Consul General of Monaco and Vice President, Prince Albert II of Monaco Foundation-USA), Dr. David Friedel (Professor of Archaeology, Washington University), Ms. Claudia Rosales y Rosales (Executive Director, PACUNAM Guatemala), Dr. Francisco Estrada-Belli (Professor of Archaeology, Boston University), Mr. Ken Hitz (Vice President of The Hitz Foundation), Mr. John McCarter (President & CEO, The Field Museum, Chicago). 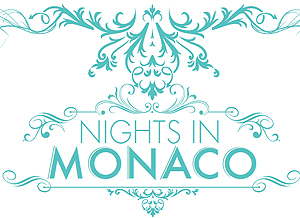 SAVE-THE-DATE FOR A SPECTACULAR NIGHT TO REMEMBER IN MONACO! In the presence of HSH Prince Albert and former US President William J. Clinton to benefit their respective Foundations. The MIT Museum will open Rivers of Ice: Vanishing Glaciers of the Greater Himalaya featuring the breath-taking photography of mountaineer and film maker David Breashears on April 13, 2012 (through March 17, 2013), with the support of the Prince Albert II of Monaco Foundation. Conservation partners from Guatemala, the USA and the Principality of Monaco have signed an agreement that will protect 80,000 acres of intact forest at the heart of the five-million-acre Maya Biosphere Reserve in northern Guatemala. “Drug trafficking money is fueling a massive ranching industry, which has virtually destroyed the Maya Biosphere within the past five years,” says FARES (the Foundation for Anthropological Research and Environmental Studies).